Present state: Anson Packaging now occupies the station site. 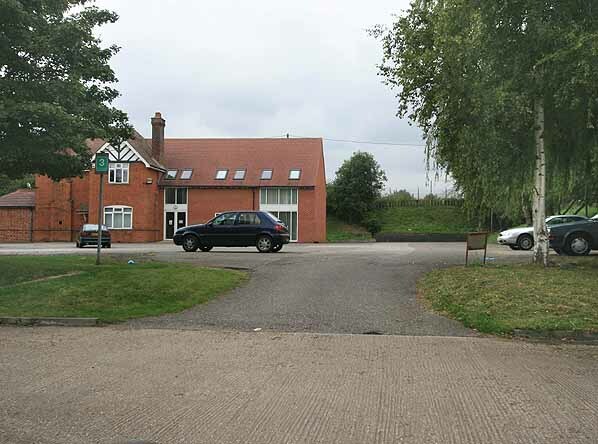 The station has been demolished and the site of the platform is now occupied by their car park. The station house still stands although it has been extended across the site of the station buildings; the house is now used as Anson's office. Notes: The single platform at Haddenham was sited on the up (south) side of the line. 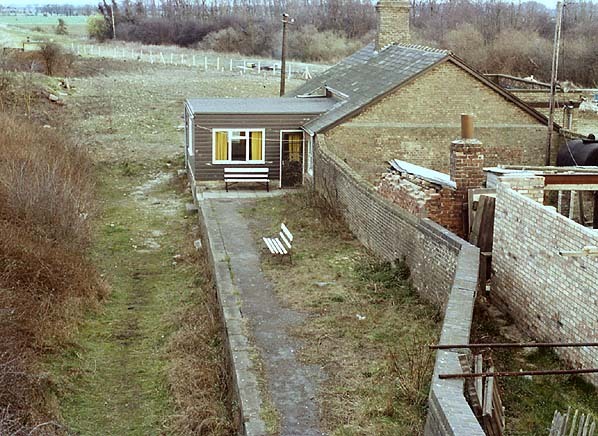 Haddenham was one of the largest stations on the branch with a long siding serving a cattle pens on the down side opposite the platform. To the east of the station there was a goods loop on the south side with shunting necks at each end. Two further sidings ran from the loop into the goods yard on the south side of the station serving a coal yard and goods shed. A further siding was added in the 1880's served an adjacent clay pit. The signalbox was sited on the up side of the goods loop. 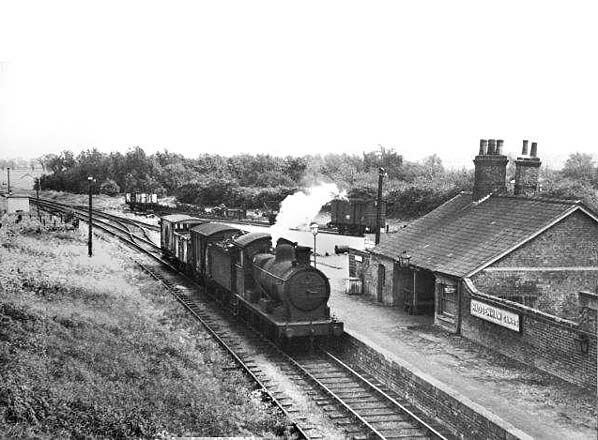 The station was 3/4 mile north of Haddenham village. 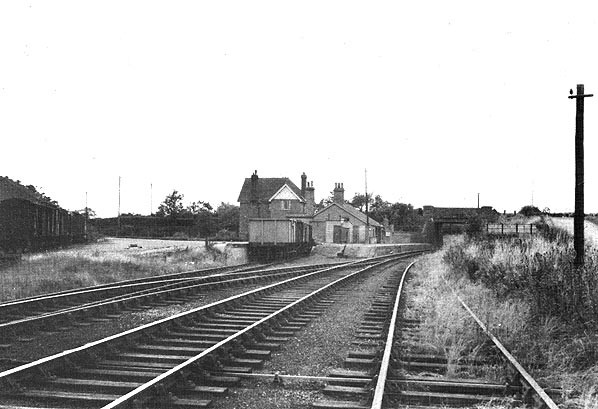 On 1.7.1923 the station was renamed Haddenham (Cambs) to avoid confusion with the Great Western's Haddenham Station. Although the station closed in 1931 it was later used by fruit pickers and two annual passenger excursions, one to Hunstanton and the other to Great Yarmouth, these ran until 1958. Haddenham Station looking west in September 2007, taken from a similar viewpoint to the picture above. The station house still stands but has been extended across the site of the station buildings. The infilled road bridge can be seen to the right.